For Carmelites of the Teresian Observance, Wednesday, October 15 is the Solemnity of St. Teresa of Jesus. 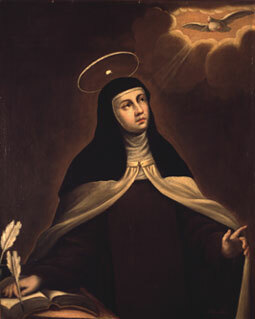 On Tuesday, October 14, we honor her place on the Carmelite calendar with a day of fast and abstinence. b) For sufficient reason, the above special fast days may be anticipated. Anticipation should never involve fasting on Sundays or Holy Days [cf. Canon Law 1249-1253].